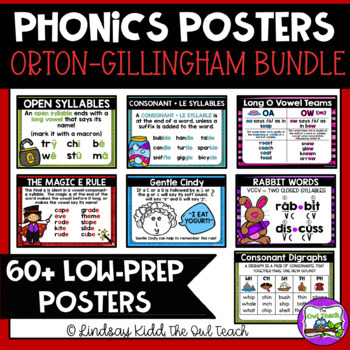 This bundle of Orton-Gillingham based Phonics Posters are perfect for your reading and spelling instruction! 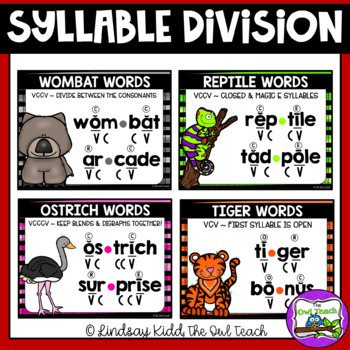 This set includes 47 posters for teaching types of syllables, syllable division, vowel team spelling generalizations, spelling tricks and more! 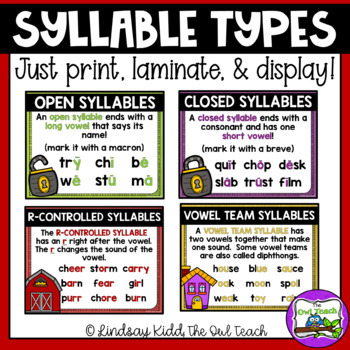 These are LOW-PREP and include full-sized posters for display and mini-cards for student notebooks or resource rings. 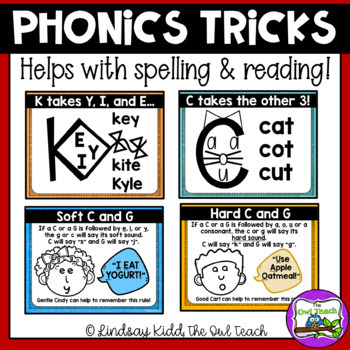 These will compliment your phonics lessons, especially if using the orton-gillingham approach!